Told by Roary, a wry, softhearted Vietnam vet, Inside Moves is an off-beat, exuberant and extremely emotional novel focusing on the bonds of friendship between two men brought together by physical and psychological challenges, and their dreams of creating more meaningful lives for themselves and their friends. Roary, crippled by war, and Jerry, a phenomenal basketball player born with a bum leg, hang out at Max's bar in San Francisco, a racially mixed watering hole for the disabled community. Against seemingly impossible odds, Roary and Jerry, with lots of help from their friends, set out to realize Jerry's dream of becoming a pro basketball player. Inside Moves is often classified as a sports novel, but basketball is merely the backdrop to this human comedy of love and sorrow and the healing power of friendship and community. Inside Moves was Todd Walton's first novel and caused a sensation when published by Doubleday in 1978. 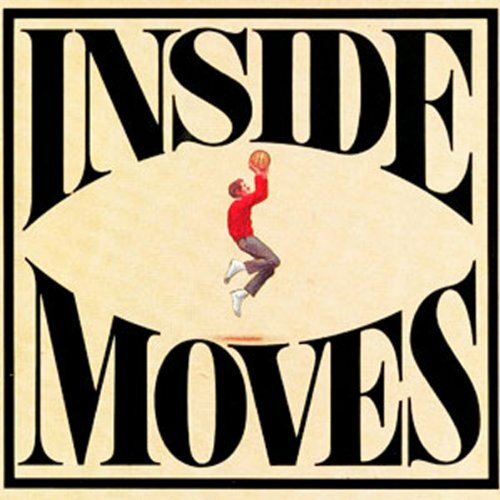 A motion picture of Inside Moves was released in 1980, with a screenplay by Barry Levinson and Valerie Curtin and directed by Richard Donner. The movie starred John Savage and launched the acting careers of David Morse, Amy Wright, and Diana Scarwid, who received an Academy Award-nomination as Best Supporting Actress for her portrayal of Louise, the feisty waitress of Max's. Long unavailable, the movie version of Inside Moves was born again in 2009 with the long-awaited release of the DVD by Lions Gate Entertainment - which has spurred a renewed interest in the novel that inspired the film. This book grabs you from the opening line and draws you in further all along the way. The author, Todd Walton, is a gifted reader as well as writer. It's much more than a sports story. I loved it! I loved the movie and although reading a book after "watching the movie" can be a little difficult because of the changes/edits made by screenwriters, listening to Roary (actually Todd on the audio) talk about himself and thinking aloud really brings you closer to the character and more inside his head than the movie. Comparing the movie with the book is like comparing someone's "outside" with their "inside". There is more inside. I especially love the character depictions, interactions, and the people and places Todd Walton created. The book and the characters are more complex than the movie as you would expect. But that is a shortcoming of movies in general. I don't think it can be any other way. As much as I loved the movie (it's one of my all time favorites), the ending seemed tacked on when I watched it the first few times. Don't expect that Hollywood Ending in the book. Those endings are for movies. Instead, expect a very intense and heartfelt depiction of Roary, Jerry and crew that is so remarkable, it jumped out at and was recognized by a talent like Richard Donner. The book brings you "way" inside moves. I am looking forward to the next Todd Walton book on audible.com.